Cannabis Science, Inc. (OTC: CBIS), a U.S. company specializing in the development of cannabinoid-based medicines, is pleased to announce the Company has expanded into the Canadian market with the formation of Cannabis Science Canada, Inc. Cannabis Science Canada Inc. is a wholly-owned subsidiary of Cannabis Science Inc., and has already begun negotiations for Canadian land, licenses, and expansion capital. Cannabis Science has already held initial discussions with Canadian government and private-sector organizations to explore potential opportunities throughout Canada. As one of its initial steps, Cannabis Science has begun negotiating to acquire land and licenses through existing license holders for the cultivation of medical hemp and cannabis in Canada primarily to support the Company’s research. These types of acquisitions will enable the company to fast track its product releases and drug-development programs in Canada. To help accomplish the Company’s primary objective, CBIS recently launched the Cannabis Science Global Consortium as a framework and platform to cooperate and collaborate with stakeholders worldwide. 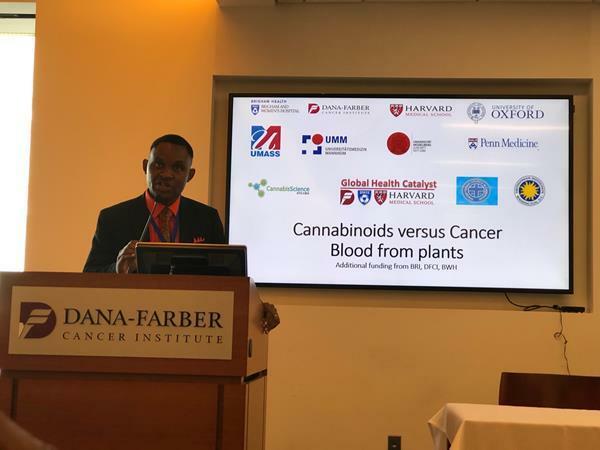 The Cannabis Science Global Consortium links universities, foundations, corporations, and individuals to share research, ideas, and other relevant information, as well as to implement a cutting-edge research program to develop medicines and delivery mechanisms from bench-to-bedside. In South Africa, Cannabis Science announced an exclusive partnership agreement with Elpasso Farms last year. Elpasso Farms is considered one of the most successful farms in South Africa. Under the terms of the agreement, Cannabis Science and Elpasso Farms are collaborating to implement a phytomedicines initiative in South Africa. Specifically, the parties intend to establish research, development, cultivation, testing, manufacturing, and production facilities on Elpasso’s 1,000-acre site in Cullinan, South Africa. Additionally, in support of these activities, the Company and Elpasso Farms intend to establish the Pan-African Agriculture and Commerce University (PAACU). PAACU will specialize in agriculture, medicine, law, and business programs, and will offer a variety of certificate courses and conduct formal research programs using a variety of cannabinoids from associated indigenous plants. PAACU will be responsible for seed incubation, growing, and cultivating various indigenous plants, that will be overseen by Cannabis Science. Elpasso Farms is a well-established and thriving farm in South Africa. The 1,000-acre site is located in Cullinan, a small town approximately 30 kilometers east of Pretoria. The CEO of Elpasso Farms, Dr. Chitsunge, is one of South Africa’s most successful female farmers and an internationally acclaimed expert in agribusiness. Dr. Chitsunge is a facilitator of the Nigeria-South Africa Group on agriculture, and a global humanitarian campaigner. She belongs to various local and international bodies, including the Commonwealth Smart Partnership, Clinton Global Initiative, and African Heritage Society. Dr. Chitsunge currently serves as the Pan-African Parliament’s Food Security Ambassador. The Pan-African Parliament is the legislative body of the African Union. General information on the Pan-African Parliament and the African Union can be viewed at https://au.int/en/organs/papand https://au.int/. Cannabis Science intends to create a vertically integrated, international organization, through investing in the organic growth and development of the Company’s operational capabilities, as well as through strategic acquisitions. Cannabis Science aims to control the development of its medicines from farm-to-bedside, and firmly establish the Company as a leader and recognized innovator in the market for cannabinoid-based medicines. Cannabis Science’s primary objective is to research and develop U.S. Food and Drug Administration (FDA)-approved, cannabinoid-based medicine to fight a number of targeted critical ailments, including various Cancers, Neurological Conditions, Post Traumatic Stress Disorder (PTSD), Sleep Deprivation, Chronic Pain, HIV/AIDS, Autism, Parkinson’s Disease, Epilepsy, Chronic Obstructive Pulmonary Disease (COPD), and others. CBIS and its collaborators are well underway on a number of research projects targeting Lung Cancer, Pancreatic Cancer, Chronic Pelvic Pain, and Oro-bucco-lingual Dyskinesias.